In stock -This product will ship today if ordered within the next 5 hours and 5 minutes. 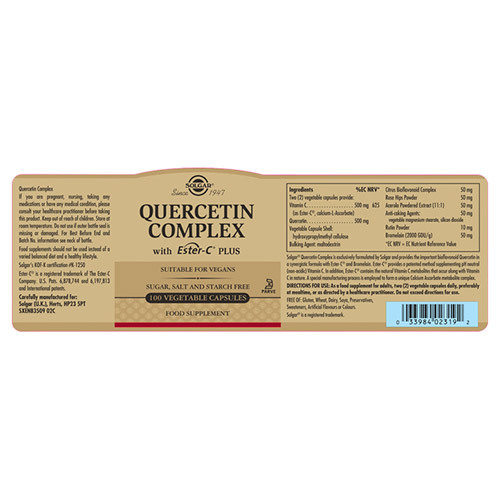 Quercetin is a non-citrus bioflavonoid that works in synergy with Vitamin C. Bioflavonoids are naturally present in fruit, vegetables and herbs, and are a class of powerful phytochemicals. They help maximise the benefits of Vitamin C as they prevent the breakdown of this immune supporting vitamin in the body. 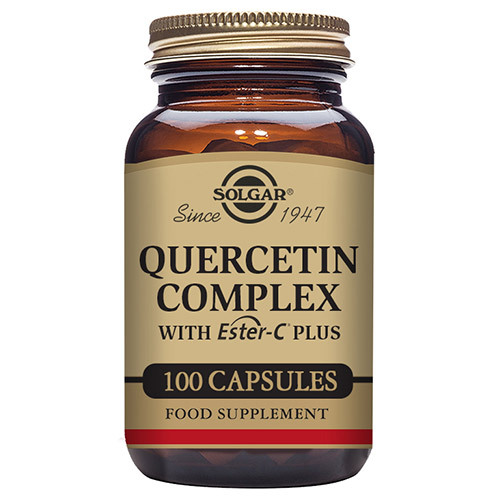 Exclusive to Solgar, Quercetin complex is a proprietary formula and contains additional natural plant bioflavonoids, powerful antioxidants that naturally accompany Vitamin C in fruits and vegetables. This complex is a unique formula that utilises a premium patented, non-acidic, form of vitamin C, Ester C® known as “The Better Vitamin C”. The highly absorbable Ester C® is also gentle on the stomach compared to traditional forms of vitamin C, which is less likely to irritate and making this product a good choice for everyone. 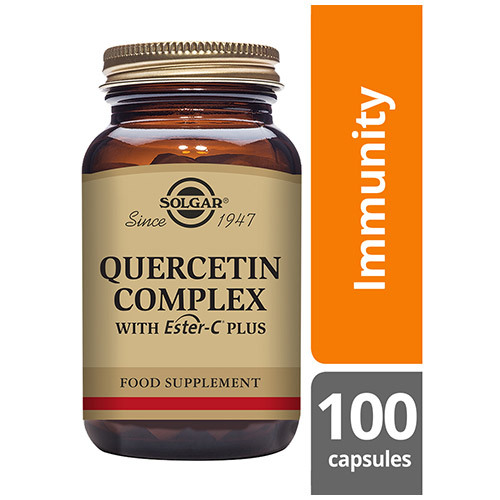 Once taken Ester C® is also retained by your immune cells for longer than regular Vitamin C, giving you superior immune support. Vitamin C is a water soluble vitamin that helps fight free radicals and to maintain a healthy immune system. It has multiple benefits which support optimal health, ranging from promoting healthy skin, reducing tiredness and fatigue and supporting healthy bones and teeth. 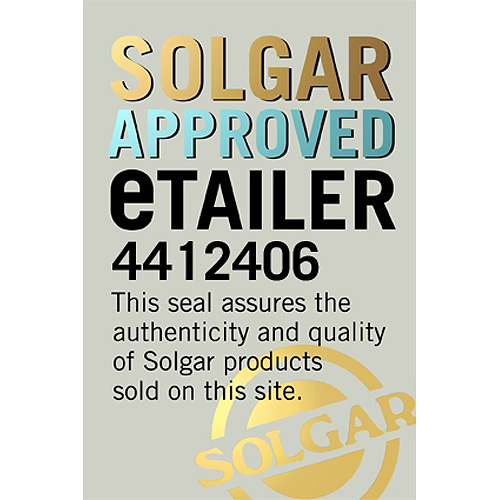 Also contains: Vegetable stearic acid, silicon dioxide, vegetable magnesium stearate, microcrystalline cellulose, vegetable capsule shell: hypromellose cellulose. As a food supplement for adults, two vegicaps daily, preferably at mealtime, or as directed by a healthcare practitioner. 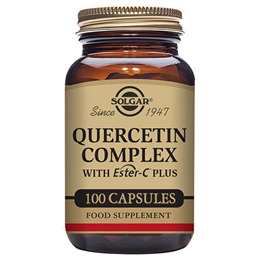 Below are reviews of Solgar Quercetin Complex - with Vitamin C- 100 Vegicaps by bodykind customers. If you have tried this product we'd love to hear what you think so please leave a review. Excellent. I take two a day to help with prostatitis. For ME it helps. It might not for everyone obviously. This is a good product and have no problem with it. Thank you.